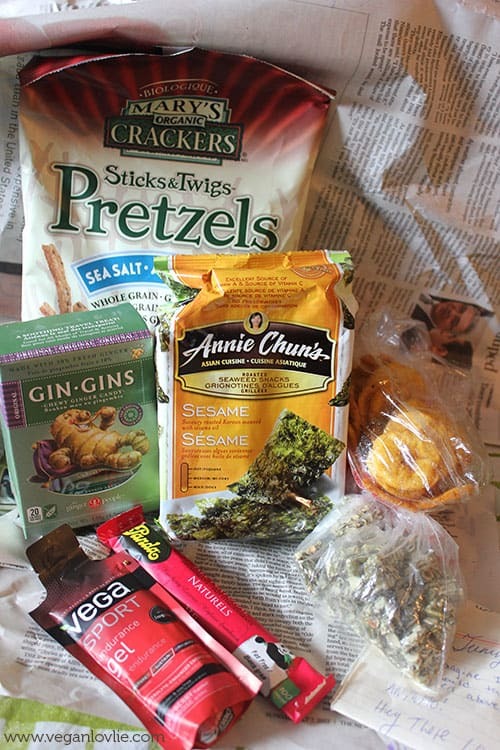 A late post for August 2013 Vegan Food Swap. 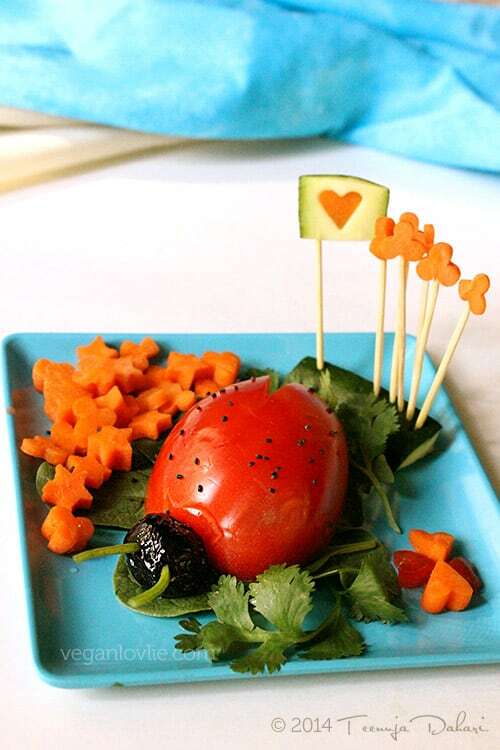 I was meant to post this on the 31 August as per the rules of the Vegan Food Swap, but here I am posting it on September 15th! accompanied by a long description letter! Wow! 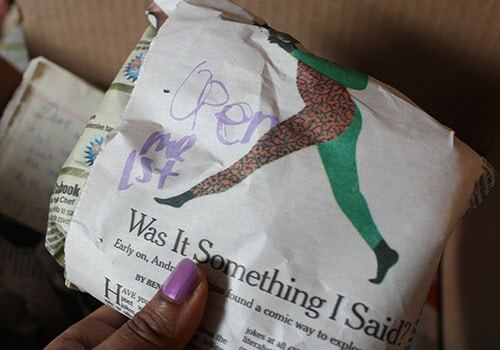 This warmed my heart and I still remember the feeling while I was opening each item one by one. Each packet was labelled in the order they should be opened to match the labelled description on the letter. How thoughtful! Thanks Becca. I really enjoyed what I found in each. 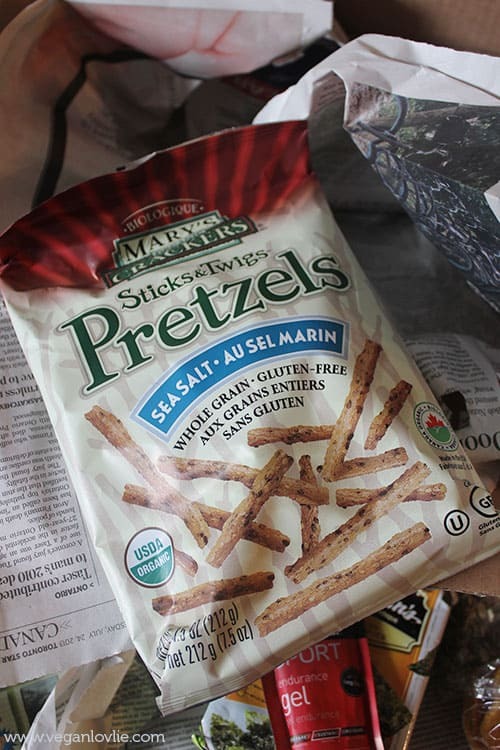 Gluten-free pretzel sticks. Yum! I opened the pack on the same day. 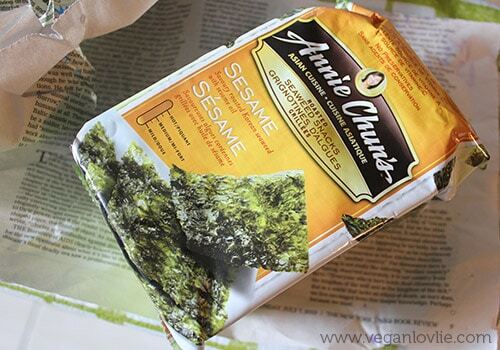 Sesame flavoured snack-size nori sheets. Seaweed is one thing that I could never be satiated with! I just love the sea taste. And Becca picked up on my strong liking for Japanese food to send me these! 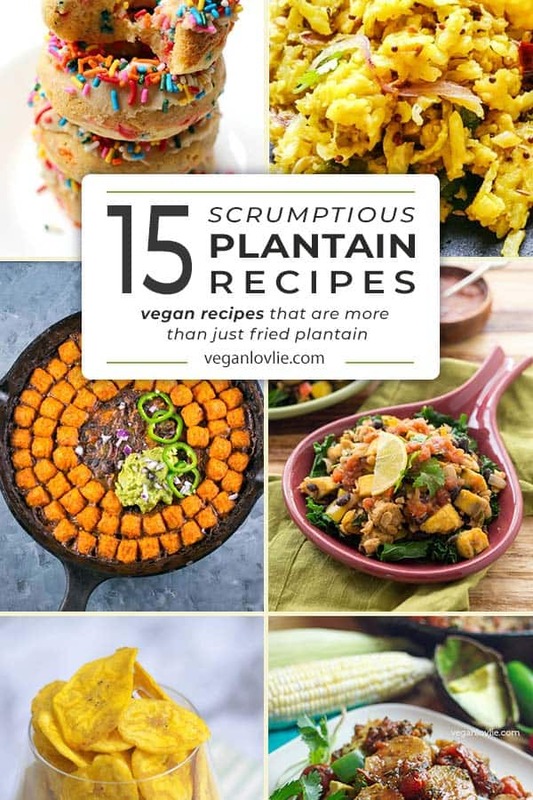 Plantain chips. These were unsalted and unsweetened and I really loved them because I usually just find sweetened banana chips which send that sharp toothache feeling if these happen to glue onto the roots! eek! 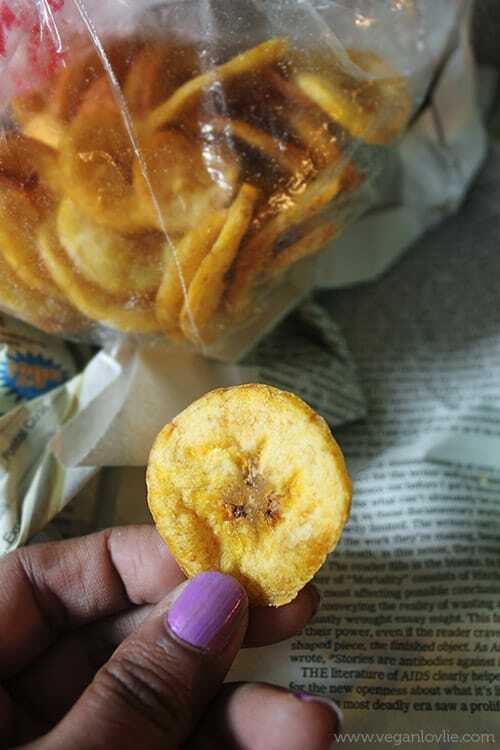 So these plantain chips, I loved. 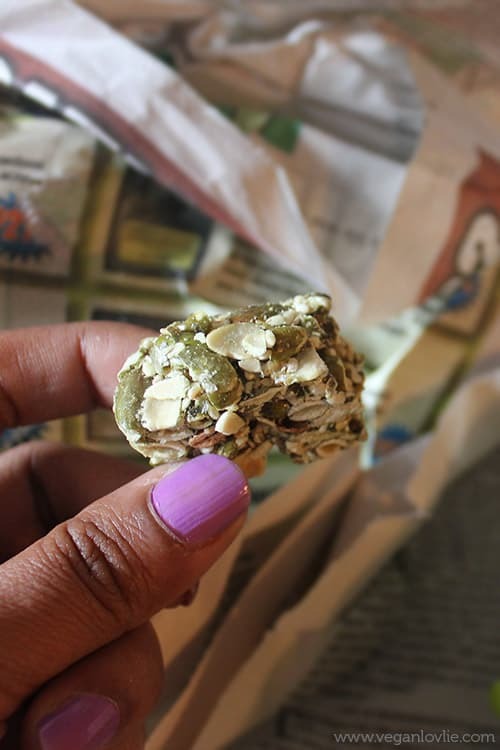 Pumpkin seed clusters. I tried those despite my allergy. Dangerous move but the allergy didn’t kick in, thankfully. 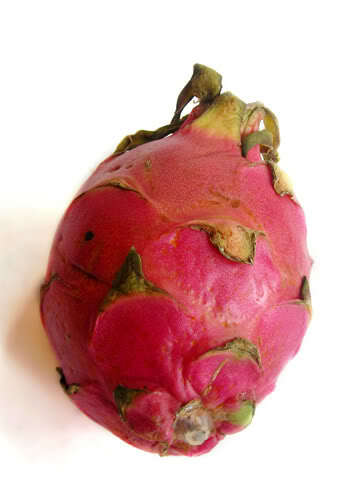 And these were so tasty and addictive. But I can only have a little nibble at a time if I don’t want to suffer the allergy attack. 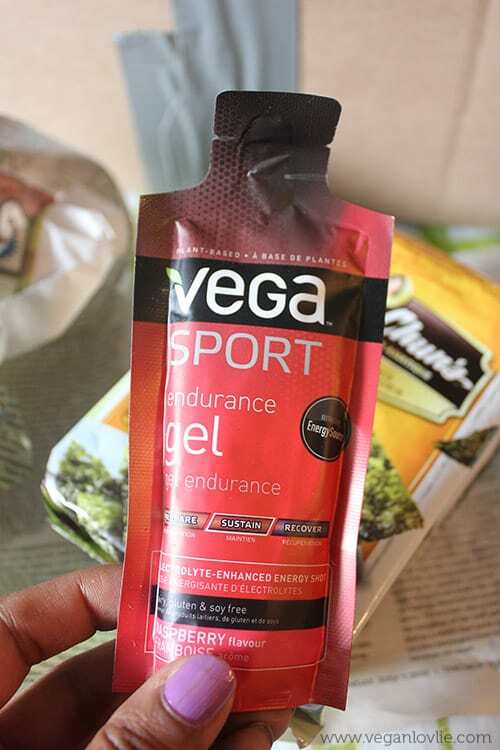 Seeing this Vega sport gel,I was thinking whether that was a sign that I should get back on my regular gym training! I’ve been postponing my routine for a long time now! I’ve never had this product before and I haven’t tried it yet but the ingredients seem a lot healthier that other brands out there. Becca’s mum recommends it! So I will try it soon! 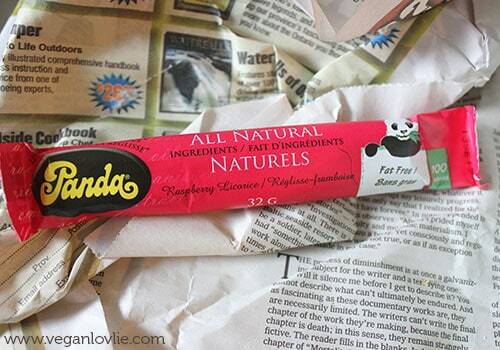 Raspberry liquorice! I’ve been seeing this a few times in the health store but never thought of buying it because I’ve never been a great fan of liquorice. I’m glad Becca sent this in the package, because they are actually good! I even went to buy some more at the store! These have become my newly adopted candy. So yummy! I’ve seen the blueberry flavour too which I haven’t tried yet. How could Becca have guessed I love ginger candy, I don’t know! 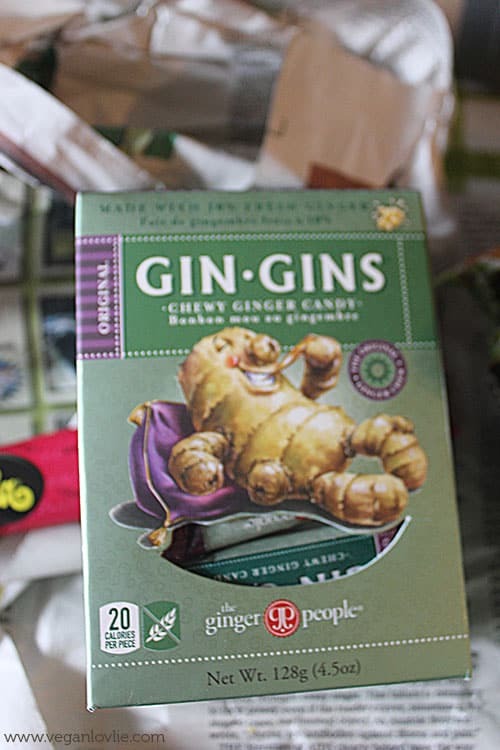 I had just bought a bag of soft ginger candy (in another brand) a week before receiving the food swap package. But hey, these are not too much! They will last me all winter and keep me warm! Thank you for these wonderful goodies! That was a good swap. By the way, you should really have a look at the awesome video Becca did featuring her chocolate lab named Gilmour! It sure did entertain me and at the same time sending a message out! Check it out here. 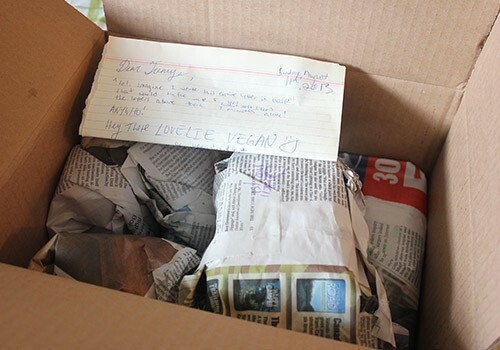 For my part I sent a packet to Jamie Hunter. Becca is by far one of the funniest people I have ever met … err … foodie-swap met 🙂 Looks like a great swap! I feel the same way about Becca! 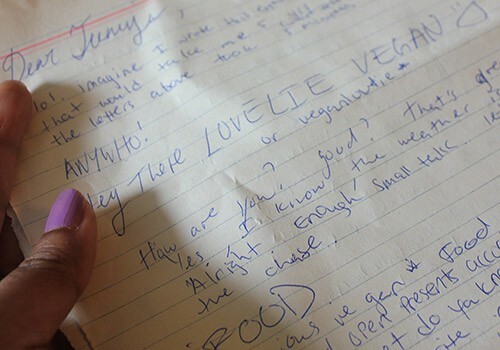 Her swaps, emails, and those swap videos she posts are pretty darn awesome. Will there be a swap this September? I didn’t get an email anyway.